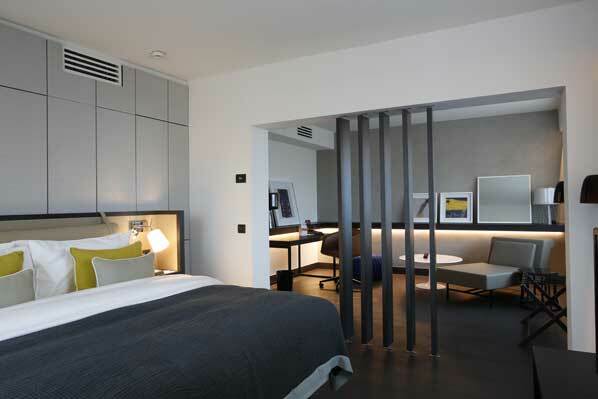 InterContinental Hotels Group has opened the first Crowne Plaza in Serbia - Crowne Plaza Belgrade. Boasting the largest hotel ballroom in the country, the hotel’s meeting facilities further set it apart from the competition. Originally opened as InterContinental Belgrade in 1979, the hotel was bought by Delta Holding in 2008. Delta Holding has since signed a new management agreement with IHG and has invested in the transformation of this famous hotel into a Crowne Plaza. The distinctive look of the hotel’s exterior has been retained whilst the interior has been completely restyled to encompass a simplistic elegant design and large welcoming spaces. Conveniently located in the business district of Belgrade, the hotel is a five minute drive from Belgrade’s city centre and a 15 minute drive from Nikola Tesla International Airport. Crowne Plaza Belgrade features 416 rooms, two restaurants, lobby bar, an exhibition hall, a full service business centre, 12 meeting rooms and a fitness and spa centre with the largest hotel swimming pool in Serbia.